12 Very Merry Christmas Books for Kids! 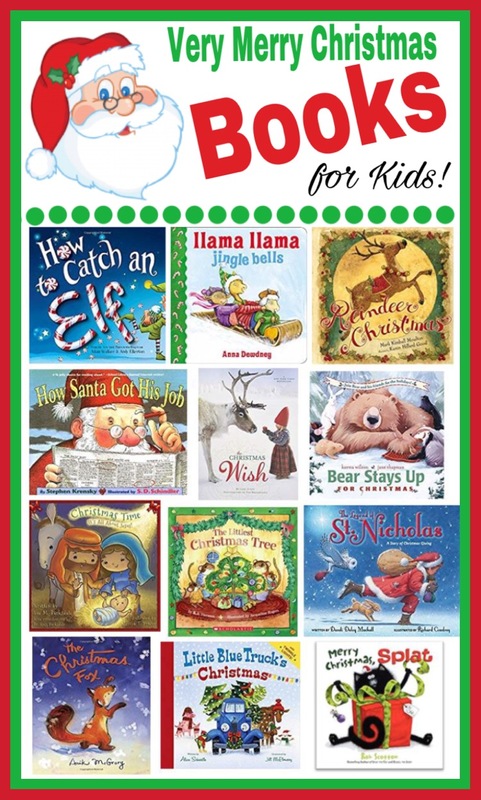 Very Merry Christmas Books for Kids! Reading is so good for kids and I try to encourage it every chance I get! My book collection is all about holidays and my grandkids love to read them when they come to Gramma’s house. They like to learn about all the fun activities and events associated with the different holidays and the changing seasons. The most wonderful thing of all is when they snuggle up next to me and let me read them a story! As a Gramma and a Teacher, I love to read kids books about the seasons and holidays. Where I live in Utah, we experience all four seasons every year, Spring, Summer, Winter and Fall! My family has always loved to celebrate holidays together! I’m working toward having several books about each season and holiday so I can switch them up throughout the year. Collecting a library of kid’s books for all of the holidays and seasons has been a really fun activity to share with my grandkids. If you’d like to expand your library of children’s books you can click on the title or photos below and you’ll be directed to Amazon where you can purchase the featured story books to build your collection and read to your own little ones!! Get one, or two, or a few, of these Very Merry Christmas Books for Kids! Great minds, girlfriend! I just started a post today on favorite Christmas books and my list is different from yours. Will link to your post when I get mine finished. Reading with the grands is the best! My youngest granddaughter tends to twerk when we try to snuggle her up in the rocking chair for loves before bed. Reading helps to calm her down! Love the “Bear” books. And The Christmas Wish looks like a very pretty book. And the Elf book looks adorable. Thanks for the suggestions. High five!! « For These Things, I am Truly Grateful ~ 2017!